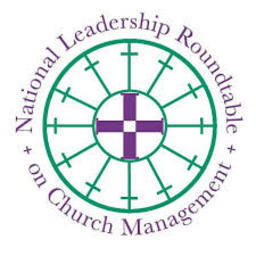 The mission of the National Leadership Roundtable on Church Management is to promote management excellence and best practices in the Catholic Church in the United States. The organization marshals laity expertise from business, academia, and philanthropy to serve parishes, dioceses, and Catholic nonprofit organizations. The result is a range of high-quality programs, publications, services, and related initiatives. Three Standards for Excellence documents offers guiding principles and benchmarks to help Catholic parishes, dioceses, and nonprofits strengthen their governance and operations. ChurchEpedia is a collection of best practices in church management, finance, human resources, and communications. Examples include a parish assessment tool, development and stewardship norms, and a performance appraisal manual. Catholic Leadership 360˚ is a performance feedback and development program to help priests and lay leaders enhance their effectiveness. With Seton Hall University, NLRCM co-hosts Toolbox for Pastoral Management. This week-long conference helps new Catholic pastors develop critical skills in the areas of administration, finance, and human resources. A consultancy division provides direct assistance to dioceses, schools, and Catholic organizations. While all of these resources were developed by and for the Catholic Church, others may find useful tools and templates in ChurchEpedia.